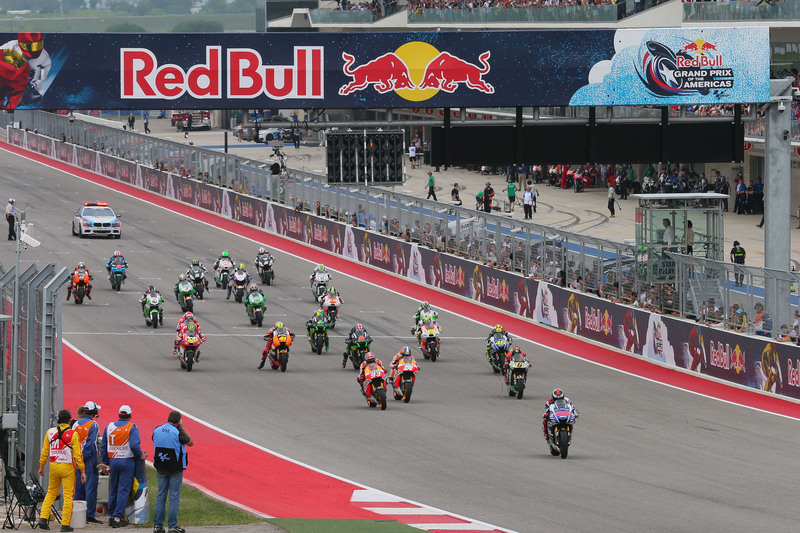 Six memorable moments from the Grand Prix of the Americas. 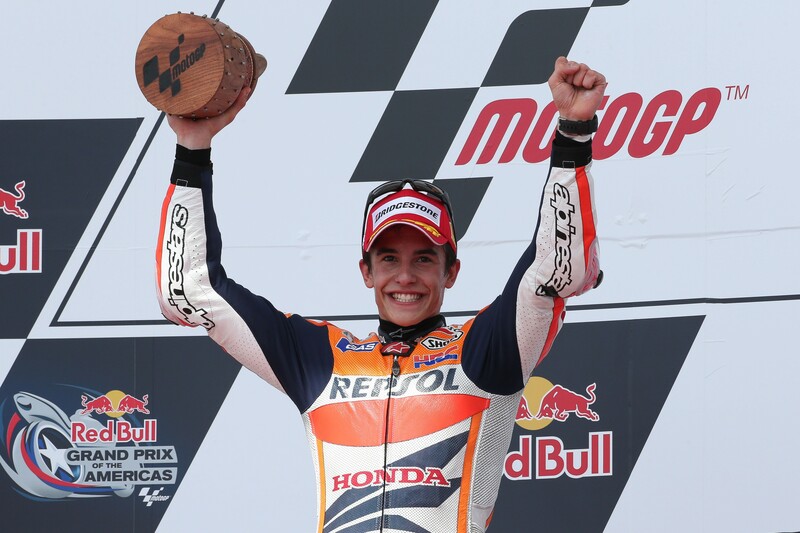 Rookie Marc Marquez became the youngest rider in history to win a MotoGP race when he took victory in the inaugural 2013 COTA event. The Honda rider was just 20 years and 63 days old, beating the record held by Freddie Spencer since 1982. Jump starts don't get much bigger than this mammoth 2014 mistake by triple MotoGP champion Jorge Lorenzo. "The lights went on to red later than normal and, I don't know why, but when I saw the red lights turn on, like a bull, I started to go! I made the best start of my life! But it was illegal so I had to enter the pits and pay the penalty." 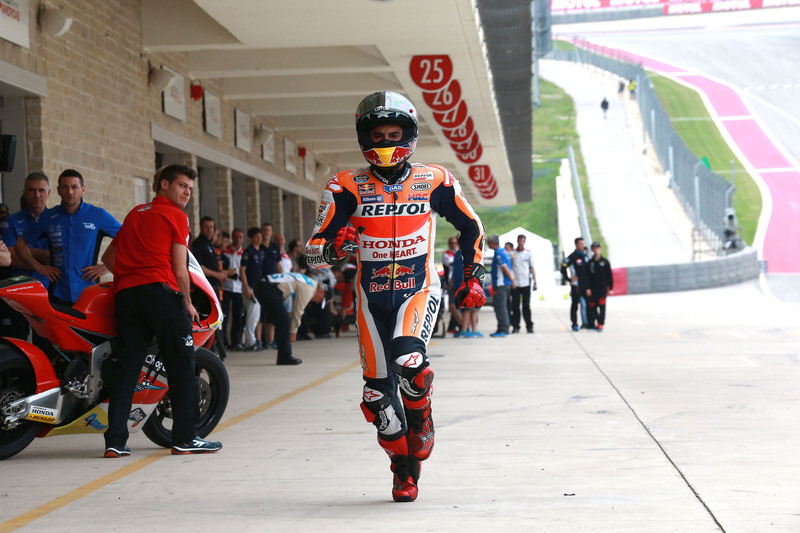 Marc Marquez saw his perfect COTA pole record in jeopardy when he suffered a technical problem during qualifying for the 2015 event. Forced to park his Honda on track, the Spaniard sprinted back to the pits to collect his spare bike and still claimed pole position! 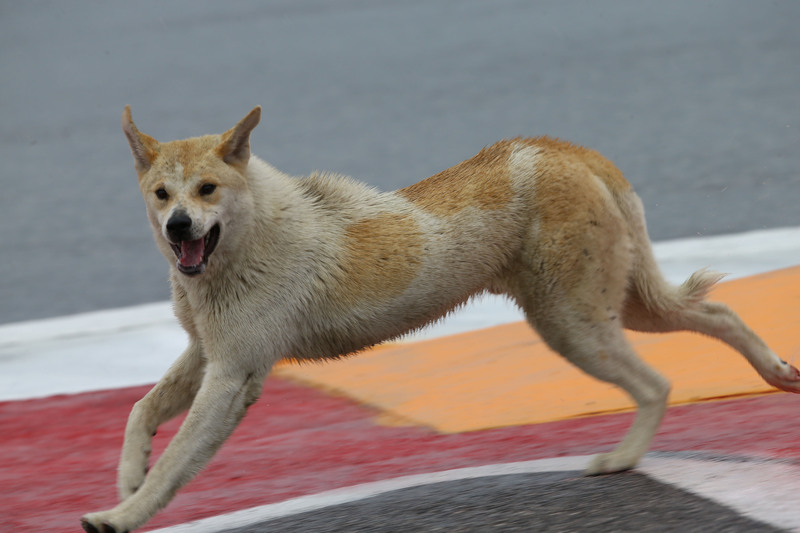 MotoGP free practice for the 2015 COTA event was briefly suspended after a dog found its way onto the track! After 'a paws' to safety retrieve the animal, the action restarted. 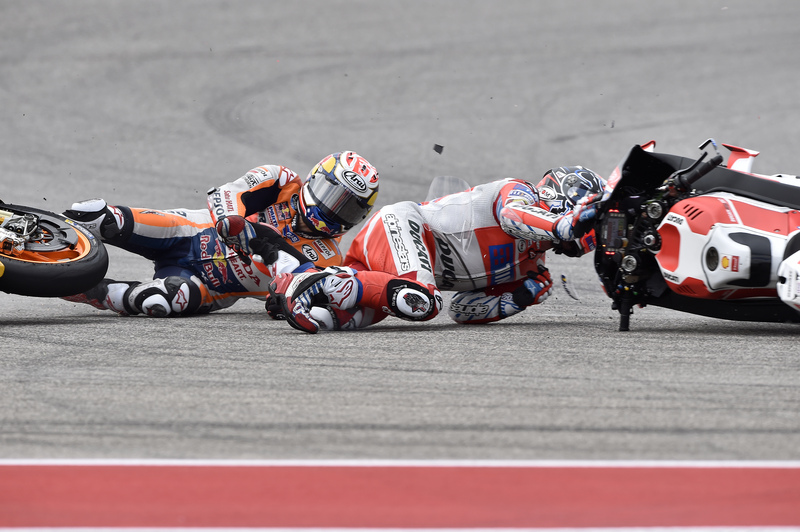 Andrea Dovizioso's luckless early 2016 run continued at COTA when he was wiped out at Turn 1 by Dani Pedrosa. The Spaniard lost the front of his Honda and could only watch on helplessly as it slid straight into Dovizioso. The scary incident was followed by a great moment of sportsmanship with Pedrosa's first priority being to check Dovizioso was okay. 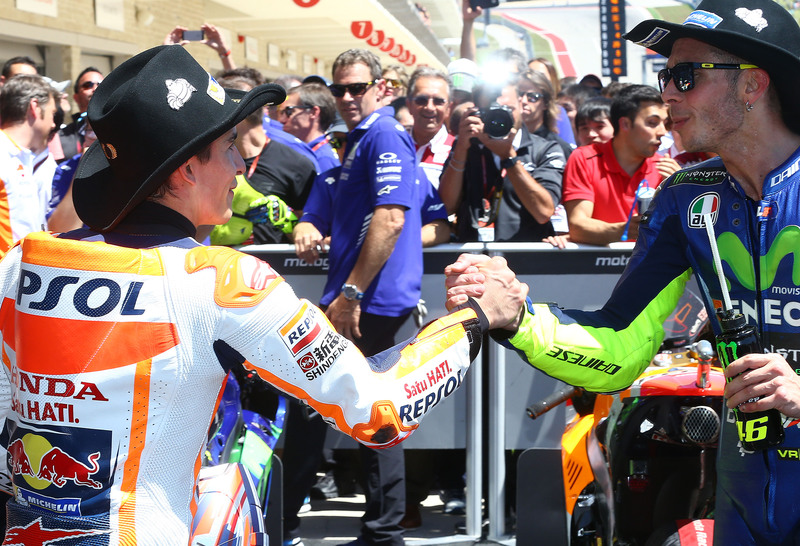 Marc Marquez has an astonishing record at COTA, having taken pole position and the race win at all five previous MotoGP rounds in Austin. The Spaniard has also set the fastest race lap at four of those events. WATCH: Avintia MotoGP launch - Live!